Pro-Temp is the choice for both the Professional and Do-It-Yourself looking for portable outdoor space heat. Regardless the need, we have the right heater for you! Pro-Temp heaters are ideal for garages, workshops, construction sites, warehouses, aircraft hangers, farms, hunting, fishing, tailgating, and any application where portable heat is needed. All Pro-Temp LP Cabinet Heaters require NO Electricity to operate and work on 20lb (gas grill) tank. Models feature wind resistance, safety tip-over switch, Piezo Ignition, radiant style heat (like the sun), Oxygen Depeletion Sensor, Four Rolling Caster Wheels, and Hose/Regulator Incuded. All heaters are CSA certified! The Eccotemp L7 Portable Tankless Water Heater is the latest model in our product line! With a stylish new look and a higher capacity than the L5, the L7 is in a league of its own. The Eccotemp L7 also features an upgraded chrome shower head with stainless steel hose! The Eccotemp L7 portable tankless water heater is perfect for campsites, cabins, or simply around the house. Wash your car, wash your boat, take a hot shower, or washing the dogs or the horse. You can add the Eccotemp L7 portable water heater to a pressure washer for an even better cleaning! The ignition is with 2 "D" cell batteries so it makes it great for off grid or other areas where electricity is not readily available. The system also works great on modified water systems with items such as a 12 volt pump. 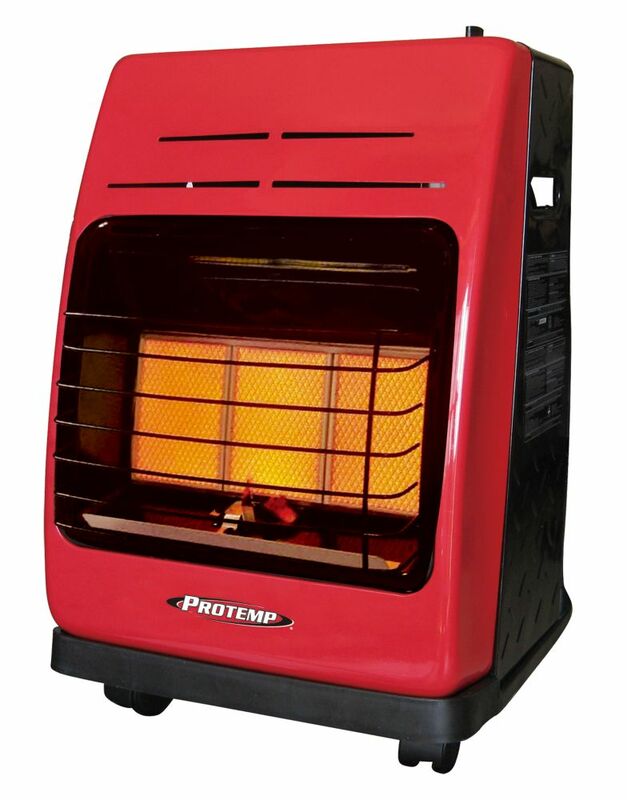 18,000 BTU LP Cabinet Heater Pro-Temp is the choice for both the Professional and Do-It-Yourself looking for portable outdoor space heat. Regardless the need, we have the right heater for you! Pro-Temp heaters are ideal for garages, workshops, construction sites, warehouses, aircraft hangers, farms, hunting, fishing, tailgating, and any application where portable heat is needed. All Pro-Temp LP Cabinet Heaters require NO Electricity to operate and work on 20lb (gas grill) tank. Models feature wind resistance, safety tip-over switch, Piezo Ignition, radiant style heat (like the sun), Oxygen Depeletion Sensor, Four Rolling Caster Wheels, and Hose/Regulator Incuded. All heaters are CSA certified!